IN a Joint Communiqué issued at the end of their “First High Level Joint Commission Meeting” of 9 February 2015, Ethiopia and Djibouti go out of their way to “Condemn” Eritrea for its “continuous destabilization policy” and “urge the international community to tighten the sanctions imposed” on it. 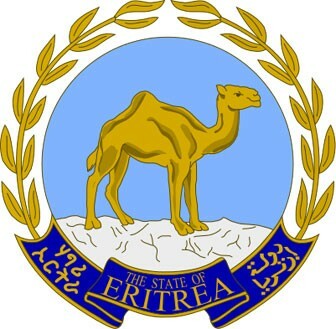 Eritrea is appalled by this unwarranted and calumnious act of hostility. As it is well known, Ethiopia continues to occupy sovereign Eritrean territories in flagrant breach of international law as well as the fundamental African Union principles of the sanctity of colonial borders almost 13 years after the final and binding arbitral award of the Eritrea-Ethiopia Boundary Commission. Clearly, Ethiopia’s unlawful behavior contravenes the integrity of arbitration processes and the basic tenets of international law. That Ethiopia’s continued occupation of sovereign Eritrean territories constitutes the singular and central cause of regional destabilization is too palpable to merit additional emphasis. Unfortunately, the authorities in Addis Ababa seem to be immersed in a futile and transparent game of semantics. On the one hand, they say they are bound by the “final and binding ruling of the EEBC” only to qualify and annul this hollow “affirmation” and their treaty obligations by calls for “dialogue” and “readiness to go to Asmara” etc. Djibouti’s unwarranted stance is also difficult to decipher. As it is well-known, the putative border dispute between the two countries has been entrusted to the good offices of a mutually agreed third party, the State of Qatar. in the event, Djibouti’s premature and hostile stance is hard to explain in terms of a pending, good-faith, dispute. On the other hand, there is increasing awareness in the internationally community these days that the UNSC sanctions imposed on Eritrea were not justified in the first place. Many countries indeed believe maintenance of the sanctions regime is not tenable anymore. The Ethiopia regime is clearly worried by the implications of the crescendo against the sanctions on Eritrea and has used its leverage to insert the unwarranted clause in the Joint Communiqué.